Every year, more than 50 million boxes Girl Scout Cookies are sold and enjoyed by people across the country. However, Girl Scout Cookies are more than just delicious. They are the product of the world’s largest girl-led business. We wanted to take some time to highlight five skills that girls learn while participating in the Girl Scout Cookie Program. Goal Setting: Girl Scouts set cookie goals and develop a plan to reach those goals. When the time comes, she’ll be ready to create a well-thought-out plan for researching colleges and applying for scholarships. 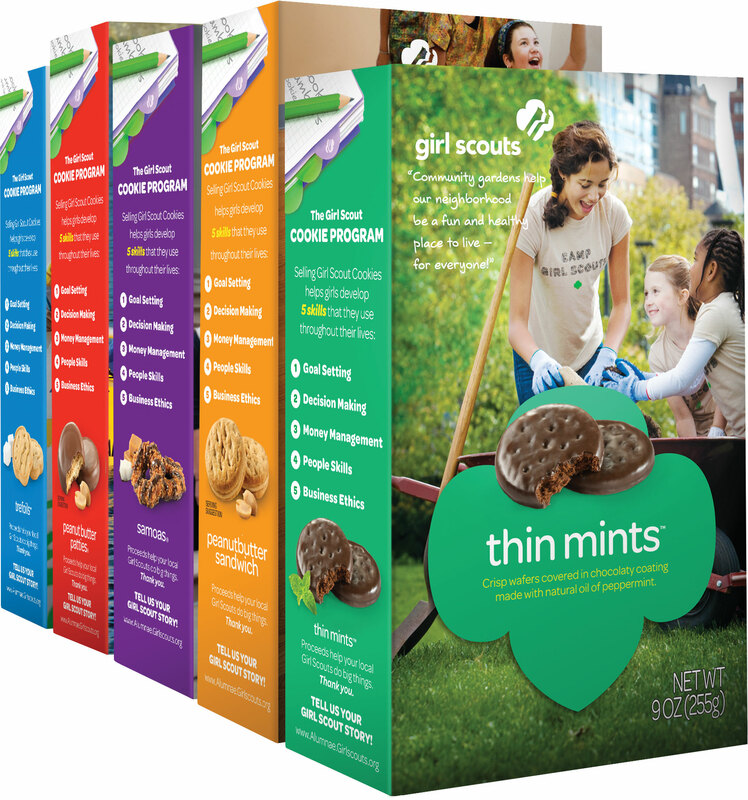 Decision Making: Girl Scouts decide with their team how they will spend their cookie proceeds. As she grows up, she’ll know when and how to give back to her community. Money Management: Girl Scouts take cookie orders and handle customers’ money. She can handle a checking account, help with the grocery shopping and even stay on top of her cell phone bill! People Skills: Girl Scouts learn how to talk and listen to all types of people while selling cookies. She can work well with others on school projects or as part of a sports team. Business Ethics: Girl Scouts are honest and responsible in every step of Girl Scout Cookie Program. She will develop excellent references for when she looks for her first job or applies for college. When you purchase Girl Scout Cookies, your box of cookies is your reward for enriching this learning experience for Girl Scouts. Having exposure to the Girl Scout Cookie Program gives girls the skills they need to make the world a better place. Join us in celebrating the Girl Scout Cookie Program during National Girl Scout Cookie Day on Friday, February 8, at all GSNI Service Centers. You can taste FREE Cookies from 4-6 p.m.! Also, this will be your first opportunity to purchase the National Girl Scout Cookie Day Commemorative Patch. Click here for full details on our events. Posted on February 4, 2013 at 11:23 AM in news	| RSS feed You can	trackback	from your own site.